The poison mechanic was very powerful when it got introduced into the game. After several changes it got nerfed, and rightfully so. With the Poison-oriented Assassin we aim to make a character that is purely relying on damage over time in order to melt enemies. The character achieves the infliction of strong poisons by using The Wasp Nest as an endgame weapon. With this build you can choose between two main skills. Spectral Throw makes for a great clearing skill. It can also be used for single target, especially against certain melee bosses. Blade Flurry is a great option when it comes to killing tough bosses, you can also clear with the skill if you want to do so. 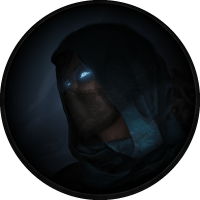 Before the rework of the Assassin ascendancy class, it was very hard to have reliable life sustain, since your damage is mostly back-ended and you cannot survive by leeching life. Now this problem is solved with the Assassin’s Toxic Delivery. The build requires a few very easily accessible unique items. The Wasp Nest is a unique Claw that is basically best in slot for the weapon. Dendrobate is a body armour that will increase your poison damage potential by a great deal. Lycosidae is a bit more expensive; this shield will solve all of your Accuracy Rating issues. Sin's Rebirth is another expensive item that you should buy later on; you can always use a rare shield instead. Starkonja's Head is a great endgame option for the helmet slot. Besides these items, you should look for well rolled rare gear pieces. Offensively, with the Poison Assassin we are aiming to inflict as many poisons as possible in small time windows. For most monster packs, you will have to attack few times and move on; foes will decay behind you from your damage over time. When built correctly, the build achieves poisons with long durations. Both Spectral Throw and Blade Flurry are great skill choices, although they have different playstyles and should be chosen between based on specific game content and personal preference. We recommend using Spectral Throw for clearing and Blade Flurry for single target. The Wither debuff can be heavily stacked on tough bosses by using totems. Defensively, the character depends on Toxic Delivery for sustain when clearing. Acrobatics and a decent life pool will be enough to deal with most hits, as long as you keep your distance and dodge lethal game mechanics. Noxious Strike will maim poisoned enemies, which can be considered defensive mechanic. For Playstyle, we are inflicting a great amount of poisons while keeping our distance, enemies will eventually die from the damage over time. Keep in mind that Noxious Strike increases your poison duration depending on how many poisons you’ve inflicted recently (last 4 seconds). This essentially means that the more poisons you inflict, the longer they will last and therefore the more damage they will do. Drop Wither totems on the ground and stack as many poisons as possible on bosses. For mobility, you should mainly use Whirling Blades to move around. Noxious Strike brings a lot of power to the build, the 2% Critical Strike chance when poison capped essentially gives you local Critical Chance, which is then multiplied by all of your Critical Strike Chance % Increases. This ascendancy node can easily raise your Critical Chance by more than 10% on its own. The poison duration increase mechanic is very strong, especially when stacking poisons on bosses. Toxic Delivery is another very powerful ascendancy node that provides a great amount of damage, along with the Life Recovery mechanic and some damage over time mitigation. Ambush and Assassinate is another source of Critical Strike augmentations, depending on the target’s life. Opportunistic improves your single target damage by a great deal, along with other perks, such as reflect immunity from your Critical Strikes, 20% movement speed if you’ve killed recently and not taking extra damage from Critical Strikes if there is only one enemy nearby. Note: Based on personal preference you can drop Ambush and Assassinate and Opportunistic for Unstable Infusion and Deadly Infusion, but in general the recommended ascendancy nodes have better balance between offence and defence. With this passive skill tree we aim to achieve a big enough life pool and damage potential for all endgame encounters. When it comes to passive skill tree pathing, you should keep in mind that while leveling you will not really depend on poisons in order to deal damage. Considering there are some decent leveling Claws, you can pick up Claw and life nodes early on. Sleight of Hand, Claws of the Pride and Claws of the Magpie provide a great amount of Claw damage along with Claw attack speed. Then you should pick up Acrobatics and life nodes depending on your gear. You should start investing into Critical Strike nodes and Poison nodes once you are able to equip The Wasp Nest. Perfect Agony should be picked up once you have at least 220-250% Critical Multiplier. Note: For earlier versions of the passive skill tree and more tips on how to progress your passive skill tree while leveling, please refer to the leveling section of the guide. Major: Soul of Solaris provides a lot of damage mitigation when fully upgraded. Other God powers can be used depending on personal preference. Minor: Soul of Ryslatha improves the sustainability and Life Recovery of your Life Flask. It is a good idea to invest into your Life Flask since this is one of your main life-sustaining mechanics when it comes to fighting bosses. Other God powers can be used depending on personal preference. Both Spectral Throw and Blade Flurry can be used as main skills, ideally in a 6-Link. Both gems can be used in the same colour setup, so it is easy to swap between them on demand. For mobility, use Whirling Blades. Wither should be used in a totem setup in order to increase enemies’ chaos damage taken. Herald of Agony provides additional poison augmentations and improves single target damage via the Agony Crawler. Vaal Grace can be used for additional defense. Blood Rage and War Banner can be used for additional damage output. Spectral Throw is a skill that essentially allows you to throw your melee weapon like a boomerang. After certain distance is travelled, it comes back to you. This skill can hit enemies both when traveling away from you and when coming back to you. If the spectral weapon starts reversing its direction while “in” a target, you can hit the same target multiple times with one projectile. Spectral Throw can be used for both clearing and single target, here are the gem links we recommend. Blade Flurry forces you to get a bit closer to the enemy in order to deal damage. It has higher damage potential than Spectral Throw but is also more dangerous to play with. Blade Flurry is a melee channelling skill; essentially you stand in place while channelling a powerful sequence of attacks. The higher stages you release it at, the higher damage it does. Blade Flurry can be used for both clearing and single target with the following link. Whirling Blades is the mobility skill you will mainly depend on for movement. You will be also granted the Fortify buff with the following gem setup. The Wither debuff can be heavily stacked against tough single target encounters with the following link. The Herald of Agony‘s Agony Crawler can achieve extreme damage output. Although this build does not mainly depend on the minion, you can still use it in order to improve your single target damage even further. Grace should be active all the time for additional Evasion Rating. The vaal version of the skill should be activated in sticky situations. Blood Rage will provide a decent amount of attack speed along with Frenzy charge on kill. War Banner can be added for additional damage via the Adrenaline buff. The Wasp Nest should be acquired as soon as possible; this Claw is best in slot for the build. Dendrobate is a cheap body armour that allows you to run your main skill on a 7-Link. Starkonja's Head and Lycosidae should be bought once you have the currency; besides that look for well rolled rare items. The The Wasp Nest unique Claw is best in slot for the build. It has great balance between attack speed, physical damage and critical chance, along with the additional Chaos damage against poisoned enemies. Using Divine Life Flask is mandatory for the build, ideally you would want to roll it half-instant with bleeding removal Suffix. Sin's Rebirth goes a long way, but it can be pricey. Atziri's Promise will provide additional chaos damage and life leech. Diamond Flask should be used in every Critical-based build. For the other slots, use utility flasks based on personal preference. We recommend Basalt and Stibnite for the additional damage mitigation. Make sure you roll Curse and Freeze immunity on utility flasks in order to prevent deaths from Strongboxes and maps with curses in general. There are no build-enabling jewels for the build. Watcher's Eye with Grace mods or any Purity mods that convert physical damage taken into elemental damage taken can be useful for the build. Leveling from the beginning while relying on poisons can be painful and we do not recommend it. Using some unique Claws in combination with Blade Flurry will carry you up until level 60 with ease, and then you can equip The Wasp Nest and start playing around poisons. This is what your early passive skill tree should look like. The Claw nodes are very point-efficient compared to other weapon passive nodes on the tree. Soon after you are done with this passive tree, you will be able to equip The Wasp Nest. After that you should start picking up Critical Strike and Poison nodes such as Soul Raker, Fatal Toxins, Assassination, Heart Seeker, True Strike and Toxic Strikes. If you lack life, pick up life nodes shown in the end-game passive skill tree. As you begin a new character, there are few unique items that can boost your power exponentially. Tabula Rasa allows you to have a 6-Linked skill as early as you get the gems. Wanderlust gives a decent movement speed, which will make your leveling that much more efficient. Goldrim provides a lot of elemental resistances, this will let you worry less about gearing when approaching certain Act encounters. Last Resort, Al Dhih, Mortem Morsu and Ornament of the East will easily fill your damage needs up until level 60. At level 4, you should add Ancestral Protector for additional single target damage. You should also add Ancestral Call Support to your Frost Blades link. At level 16, you should socket in Herald of Agony in order to level up the gem. By level 18, your Frost Blades link should look like this. At level 24, you should Grace for additional defence. At level 28, you can drop your Frost Blades for Blade Flurry. Note: Although Spectral Throw is a viable endgame skill, it is not very powerful when it comes to leveling, especially when fighting bosses. Are there map mods the build cannot do? Cannot leech and no regeneration maps might be problematic, besides that the build can do anything else. Why would I ever choose to play a poison build? The poison mechanic is often underestimated. Yes, playing a damage over time build means you will clear slower than top-tier meta builds, but the endgame damage potential a poison build can achieve cannot be easily outclassed. Not to mention how cheap playing a build like this one can be, especially when you compare it to meta builds. The Wasp Nest Poison Assassin specializes in applying deadly poisons on your enemies, melting their life pools away. With this build you get the most bank for your buck, while also having a great endgame potential.